We fly to Australia next week, my seventh and final continent. It's also a country that first entered my consciousness when I was six years old and my travel dreaming had just begun. First, we travel on an inaugural National Geographic Journeys trip with G Adventures for two weeks, followed by one month on our own. We’ll be on the trail of Aboriginal stories and some of the usual travel suspects in the East and center of the country, then likely on a trajectory further afield in Western Australia, The Kimberley, and Darwin. But we remain open. Uluru National Park: mythical, big sky territory. When Dan and I met all those years ago, he was in the throes of planning his first trip abroad. India was his setting off point. From there, he considered other destinations in Asia in which to downshift. But I steered his onward itinerary in another direction: Australia. Mine was a sincere piece of counsel for the uninitiated traveler — whether he knew it or not, he would need a place to decompress after India — but I also had an ulterior motive. Australia had always held my dreams since I was a little girl. Although I’d lived and traveled abroad my share, a visit there always evaded me. So my recommendation was vicarious, too. When I was six years old my family lived in Sri Lanka. In an era predating ubiquitous satellite television, engaging programs were, let's say, limited. Occasionally, however, the local station would broadcast a National Geographic documentary, the sort whose moving images were drawn against dramatic scores. I was struck by one episode in particular featuring images of a vast desert whose sand appeared the color of rust and a massive red rock whose surface in the early morning light glowed like smoldering iron. The episode spoke of the sacred nature of the rock that glowed. It echoed stories passed on through oral tradition and traced them in the etching of cave paintings cast by Aboriginals, the native people of the land. I was mystified, transfixed by it all, sound and imagery. This place held a novel sort of beauty to me, more like that of another planet rather than somewhere on our own. The episode, you might have guessed, was about Australia and specifically Uluru / Ayers Rock. I held this memory and never let go of the dream. The imagery, the thread, the longing — I kept it all tucked somewhere under the surface of my wanderlust and moved about, trusting I would someday get there. Meanwhile, Dan did take my advice and visited Australia on that, his first international trip. A framed photo he’d taken of The Twelve Apostles hung on the wall of his apartment in San Francisco as a subtle reminder…and perhaps of a promise that we would go together one day. Next week, I fulfill that promise and my childhood dream. We fly to Australia! We're doing so in connection with the new National Geographic Journeys. As I seem to experience quite often, life comes full circle in ways I could never have imagined years before. Australia will also mark my seventh and final continent, placing me even with Dan (Africa was his). No, I’m neither a country counter nor focused on the number of stamps in my passport, but a wee competitiveness with one's spouse is healthy. So it pleases me some to even the score. What are National Geographic Journeys? Our Independent Australia Itinerary: Western Australia, Northern Territory, Diving, etc. During our first two weeks in country, we will be on the first of the National Geographic Journeys with G Adventures in Australia. This 12-day tour, entitled Explore Australia, will include a few well-known destinations in the eastern half of the country like Sydney, the Great Barrier Reef, Melbourne, and Uluru, and a few unusual experiences in lesser-known areas along the way. National Geographic Journeys are a new style of tour developed through a recent partnership between National Geographic and G Adventures. These small-group tours include unique travel experiences that highlight the sort of scientific expertise that the National Geographic brand is known for: marine biology, archeology, history, anthropology, geology, and more. What this means in practice is that travelers will be able to meet with National Geographic experts and on occasion visit research or other National Geographic facilities. As is the case with other National Geographic tours, a portion of the proceeds will go to the foundation to support its continued research. These trips will continue to feature dimensions of a G Adventures experience, including working with locally-owned providers, a healthy dose of independent time to explore, integration with a Planeterra Foundation community project where possible, and reliance on the knowledge of both a tour leader (Chief Experience Officer, or CEO, in G Adventures parlance) and local guides to provide cultural, historical, and environmental context. Additionally, for those who seek a bit more comfort when they travel, National Geographic Journeys will feature accommodation and transport of a higher standard. Sydney: When we lived in San Francisco, Sydney was often offered as a southern hemisphere analog because of its position, natural beauty, cuisine, wine, lifestyle and atmosphere. 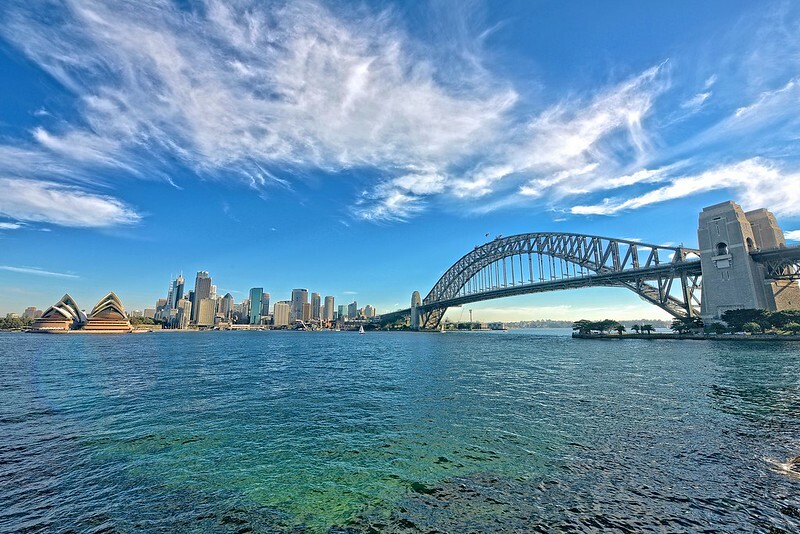 Yes, I will be that sun-soaking, wide-eyed tourist taking it all in, snapping photos of everything including the beaches, the Harbor Bridge, the Opera House and anything else that catches my eye through the city’s neighborhoods. Our tour kicks off with an evening cruise around Sydney Harbor so we’ll be able to enjoy the city from on the water, at a distance. Port Douglas: Port Douglas is best known as a jumping off point for the Great Barrier Reef, a feature we hope to see up close either by snorkeling or diving. 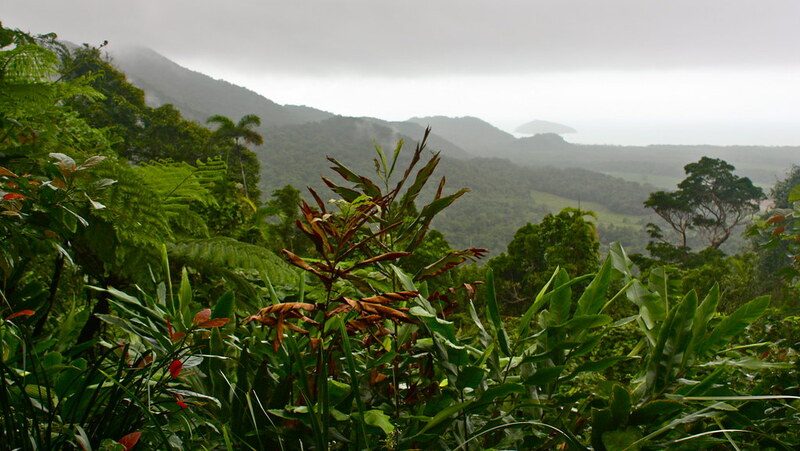 We will also visit nearby Mossman Gorge where we’ll take an interpretive walk with a local Aboriginal guide to learn about his culture and traditions, as well as various survival techniques in the Daintree Rainforest. Cairns: By the time I leave Australia I hope to be able to properly pronounce the name of this city without making myself and other people laugh. Cairns is where we’ll dive into the geeky marine biology stuff. We’ll take a private tour of the James Cook University research aquarium set up by National Geographic grant recipient, Dr. Jamie Seymour. We’ll get up close to the underwater world and learn about the latest research and insights in this ever-relevant area of study. Tully (near Cairns): We’ll spend the day immersed in the story, traditional hunter-gatherer culture and lifestyle of the Janbanbarra Jirrbal Rainforest people. This also includes a brand new Planeterra/G Adventures for Good project called Café Chloé which works with local Aboriginal leaders to build a community center, training center, art workshop and cafe in the space of a former railway station. The objective is to train at-risk youth in practical skills and to reinforce the value of their culture, stories and traditions. The goal is to provide opportunities for them to work locally instead of having to move to a big city to find work. Note: This Planeterra Foundation/G Adventures for Good project is part of the 50 in 5 campaign to raise $5 million to create 50 community development projects around the world over the next 5 years. The idea of these projects: work with existing community organizations and leaders to build social enterprises that create services (e.g., a restaurant or café) or products (e.g., crafts) to sell to travelers coming through on tours or on their own. The intent is to re-invest the profits back into the organization, while the organization builds capacity by training and providing jobs to local people who often come from disadvantaged backgrounds. Uluru (Ayers Rock): We will take a sunrise walk with a local guide around the base of Uluru where, through traditional Aboriginal stories, we'll learn about the sacred nature of this location. Additionally, we’ll explore the Valley of the Winds in Kata Tjuta National Park. Given how many decades I’ve been waiting to see this, I’m trying to keep my expectations in check. But it's difficult. Melbourne: Everywhere I turn these days, there's an article with Melbourne hovering near the top of some “best cities to live” or “coolest cities” list. Considering that we live in what I'd like to consider the European version of today's coolest city — Berlin — I’m curious to see the Down Under equivalent. Melbourne is also the jumping off point for the Great Ocean Road and some of Australia's best-known wine regions, both of which we’ll take a fair helping. After we wind up our visit to Melbourne, we’ll spend the remaining month traveling in Western Australia, through The Kimberly, and the northwestern segments of the Northern Territory. A few places that are high on our wish list right now include: Perth, Rottnest Island, Margaret River (wine tasting), Karijini National Park, Exmouth (diving), Broome, Gibb River Road, Kakadu National Park, and Darwin. Western Australia, land of surreal landscapes. While a month may sound like a lot of time, the country is vast and distances remarkable, so we must be selective and deliberate, avoiding the temptation to bite off more than we can chew. We wish to enjoy our trip, not be exhausted trying to race around to see everything. Our working list of destinations and experiences will likely shift and evolve as your recommendations come in and we speak with more people on the ground. Of course, any and all of this is subject to change. If you’ve traveled to Australia and have been to any of the cities or areas mentioned above, we’d love to hear your advice on wineries, restaurants, beaches, neighborhoods, treks, or any other great experiences you’ve had. We’ll even take advice on transportation options and arrangements, including camper vans, rental cars and flights in Australia. We ultimately understand that Australia is huge, so while we may not be able to pursue all your suggestions this time around, we can certainly use your advice for likely follow-on future trips. In any event, we greatly appreciate your taking the time to share your advice — not only for our benefit, but also for that of our readers. You can follow our adventures in Australia using the hashtags #gadvOz on Twitter and Instagram. We will also share updates on our Facebook and Google Plus pages. It’s an understatement to say we’re excited to have the opportunity to share this experience with you! To visit Australia in connection with National Geographic Journeys makes the little, dorky documentary-watching 6-year old in me want to bounce off the walls and squeal. I’m trying to keep calm, cool and collected for Dan though. It is a long flight to Australia after all. Disclosure: Our National Geographic Journeys Explore Australia tour is provided to us by G Adventures in cooperation with its Wanderers in Residence program. As always, the thoughts contained herein — the what, the why, and the how — are entirely our own. Having grown up in the beautiful south-west of Western Australia, I’m so glad to see this is on your itinerary – so many don’t ever venture over to WA but it’s just beautiful. You MUST make time for several trips to the beach – this is the best time of year for it. Bunker Bay (not far from Margaret River) is sublime for both the beach and it has a gorgeous resort for a luxury stay. Dunsborough and Margaret River also have incredible beaches. If you have the opportunity go even further south, a road trip through Pemberton, Denmark, Walpole and Albany is stunning with plenty of stops to break up the journey – check out Valley of the Giants in Denmark. Perth has been home the last several for years for us before leaving, so enjoy your visit – be sure to stop by the beaches there as well as a picnic in Kings Park and check out the bar scene in the city, they’re popping up every week. A little jealous of your trip – hope you have an amazing time. Sydney, Melbourne, QLD are amazing as well! Amy, fabulous advice!! Thank you so much. I knew that the weather would be better in the southern part of WA, but didn’t realize that the timing of our trip was perfect for beaches. It’s funny, I was having a conversation about the red tingle trees yesterday on Twitter with someone and didn’t realize that was Valley of the Giants. The trees look like something from Lord of the Rings. So cool. Any suggestions for wineries in the Margaret River (or other) areas? Even more excited as I research southern WA a bit more. Thank you again!! You’re welcome! Yes, summer is THE time for the beach so be sure to visit at least one whilst you’re there, but remember your sunscreen – the Australian sun is like nowhere else! Wineries for the south west – some of my favourites include Sandalford Estate and Leeuwin Estate (premium wineries with prices to match but beautiful properties), but there’s lots of breweries and cideries also – Duckstein Brewery and Eagle Bay Brewery are fabulous. Perth also has the Swan Valley – wine/cider/beer/produce which could also be done in addition to the Margaret River trip or worst case if something comes up and you can’t make it down. But fingers crossed you do, it’s a beautiful part of the world! Looking forward to see where you visit! Enjoy the rest of your trip in this amazing country! Thanks, Gia, for the Sydney recommendations! We will only have a short time there at the beginning of the trip with the tour, but we plan to return for more time at the end. I’ve heard great things about Manly beach (and have seen some beautiful photos from there). We’ve been looking at the Blue Mountains as a possibility, so appreciate the extra push for it. We’re leaving for Australia next week as well! We’ll be flying to Sydney and will then explore the country by campervan for 3 months. Can’t wait to get started! Awesome!! Three months is a great amount of time to explore. Have a wonderful time!! I received your awesome email, Katie!! Thank you so much. Great advice, and also a reality check on the weather issues in the Northern Territories/Gibb River. Really appreciate your help with our trip. Thanks again! Have a great trip! I know you’ll have a wonderful time. Thanks, Caroline! I’m enjoying reading through all your posts from your time in Australia and return trips. I really miss living in Australia. Such an amazing country. I also hope to visit Australia in the near future. My next travel though would lead me one country/step farther than Australia, which is New Zealand. I look forward to your posts on your next trip and hope to inspire me to put Australia as my top destination to visit in 2017. And, look forward to sharing what we find in Australia with you! We have done this iconic road trip as a family of 6 in a Toyota Landcruiser camping and staying in accomodation and took about 2 weeks to comfortably do the whole trip although you could take less. Starting from Darwin in NT, travel via Katherine, camp 1 night at Lake Argyle Camp Ground then go for boat ride on Lake Argyle (site of pink argyle diamond mine), visit the Bungle Bungles (Purnululu) and camp there 1 or 2 nights, appreciate beautiful Boab trees dotted throughout landscape, cross border into WA without taking fresh fruit or vegetables over, stock up on food supplies at town of Kununurra (film ‘Australia’ made near here), visit outback homestead station El Questro and indulge for a night staying there, do Emma Gorge and El Questro Gorge walks and go on the Chamberlain Gorge River cruise, stay at Home Valley Station (solely employs indigenous staff) for 1 night, drive north along the Kalumburu Road up to the remote Indigenous community of Kalumburu and the nearby Mitchell Plateau Falls (visit the rock cave Windjana paintings & take a scenic helicopter ride), camp for a night on beach at Kalumburu (require license from Benedictine Mission there) and watch out for crocodiles, cannot swim at any of the beaches up there for this reason, camp at King Edward River (can swim) stay at Mount Elizabeth Station, appreciate spectacular King Leopold and Cockburn Ranges, visit Manning Gorge (can swim) and take plunge off a 10m high jump, visit Galvans Gorge (can swim) & Windjana Gorge, drive to Derby then head south and finish trip in Broome (go camel back riding on the beach there, visit Paspaley pearl shop, see a movie at the outdoor cinema). Cannot visit here in monsoon season. So happy to hear you are heading to Australia! Definitely one of my favourite countries! You will absolutely fall in love with the landscape! And the wildlife! And the people….argh…with everything 🙂 Have fun! Hi guys, just listened to you on Expat Chat and came over to your website. As an Australian, I was thrilled to see you were coming here next (or are already here judging from your Instagram). I hope you love it, it’s a wonderful country. Will be keenly following your adventures! Glad you enjoyed the podcast we did with Expat Chat! We just finished the National Geographic Journeys part of our trip and are heading soon to Western Australia. It’s been a wonderful trip so far, so looking forward to part 2! Great to hear that you’re headed to Oz next year! The boat trip we did around Sydney Harbour was a private charter, so it wouldn’t work for a couple as it would be too big and pricey. 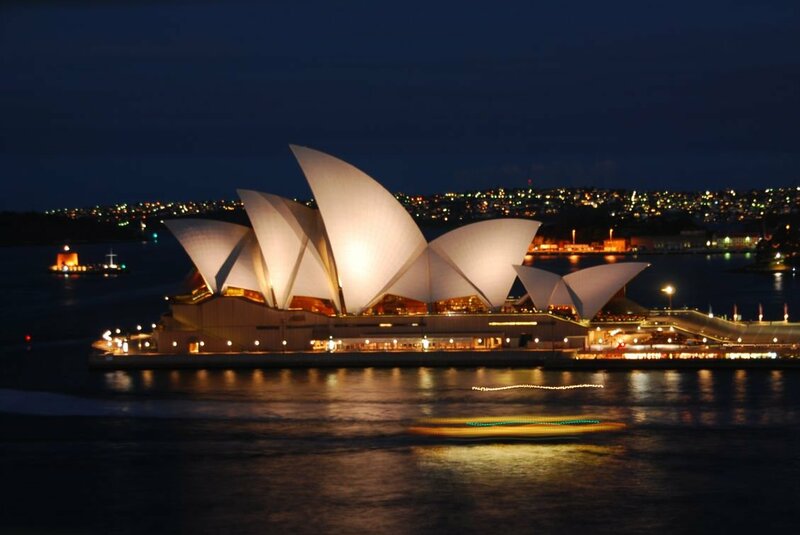 However, just do a search on Sydney Harbour sunset/dinner cruises and I’m sure you’ll find a group trip you can join. It is really great to experience the Harbour at night and from the water. Just beautiful. Audrey, it was destined that I discover your blog (my daughter’s name is Audrey, my son’s name is Scott!) I live in Nashville TN. My daughter (Audrey) and I traveled to Australia in September and it was spectacular. Gold Coast, Sydney, Uluru, King’s Canyon, Alice Springs, Cairn (Palm Cove). We did much of what you plan to do: and I can say that it was all so wonderful. Uluru was haunting and magical–best part of trip. Mossman Gorge is beautiful, Daintree Forest and Cape Tribulation gorgeous as well. Weather was perfect for us–will probably be a bit warm for you guys. If you haven’t done Great Barrier Reef, it is wonderful also, but the charter we were on was really too crowded—hopefully yours will be less so. I found your blog in searching for train trips across Switzerland as that is what we want to do next. Loved the Mom and daughter blog about it. Safe travels. Glenda, how funny that your daughter’s name is Audrey and son’s name is Scott! That’s a first! I agree with you about Uluru and the feeling there — it was one of the favorite parts of the trip for me as well. We did take a trip out to the Great Barrier Reef and went diving there, which was beautiful. Fortunately, our boat was really quite nice and had lots of space for both snorkelers and divers. Also, everyone on board was really professional and friendly. If do you return, check out Callypso for Great Barrier Reef trips from Port Douglas. Good luck with your planning for your upcoming Switzerland trip! Traveling by train across the country was relaxing and enjoyable. Highly recommend it! i have lived in Brisbane when i was studying there as a teenager.Absolutely love the country and the people. I was in Australia for 10 days in 2014 (Melbourne & Brisbane & Byron Bay). I definitely enjoyed the country, but found it a bit too “bro-ey” for my tastes. Many parts of it remind me of Southern California, which is simply too materialistic on the whole for me. You will have a fabulous time! You are doing most of what we did, although we didn’t get to Western Oz or Northern Territory. We stayed in the St. Kilda area of Melbourne, which we loved because it was full of cool restaurants. No matter what, you will have a magical time! I’m not sure that there would be enough time in an entire lifetime to see everything in Australia. It really is a land of unlimited possibilities. So much diversity and so much to see and do. I hope you had a great trip and I look forward to reading about your adventures.